Life is all about exploring and experiencing. On one hand, we explore our lives and on another hand, we get some experience in return. However, there is always an appropriate time to explore things and experience them completely. Once you have stepped into your 20s, you are bursting with an immense amount of enthusiasm all the time. How about investing this energy efficiently in exploring the outer world and experiencing the best of Mother Earth during this period of your life? Well, if you are one amongst those who love to be on the route leading to some new world, then this article is definitely for you. Read about the following must-visit places in North India before you hit 30. 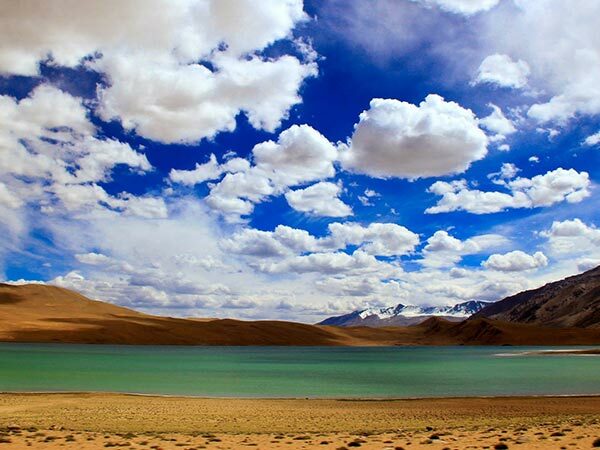 Also known as Little Lhasa, MacLeodganj is one such destination which deserves to be on the list of 'must-visit destinations in India before you hit 30' due to its Tibetan population and their culture. If you have never experienced different cultures and followed their customs, then here is your chance. Do not miss the opportunity to experience the best of Tibetan culture and their vibrant lifestyle at MacLeodganj. Situated in the Parvati Valley of Himachal Pradesh, Kasol is a newly popular destination amongst tourists for its untouched beauty. Spread across thriving plains and trekking trails, Kasol is a tiny yet picturesque spot which you must explore to witness the deep roots of natural beauty. Over a period of time, Kasol has become extremely famous amongst offbeat travellers. How about being on a vigorous journey to Kasol and immersing in its colourful atmosphere? Also known as the Venice of the East, Udaipur is certainly a must-visit destination in India before you turn 30. Dotted with royal palaces and forts, Udaipur is the best representative if you are looking for a place known for its pride, history and royal aura. Being a royal city, it is also known for its kingly hospitality. So, why not explore some of its palaces and experience its royalty before you lose interest in its glorious history? One of the northernmost parts of India, Leh is definitely a must-visit destination, if you wonder about the lives in a cold region. Experience a whole advance level of living a life in the coldest regions of Leh. Apart from enjoying its natural beauty, you can roam around its historical beauty which is still standing strong in the form of old palaces and monasteries. Life is deemed incomplete without adventures. Auli is one destination which has become a favourite amongst skiers or ice-skaters over a period of time on account of its icy slopes and snow-filled plains. How about challenging your strength and endurance through skiing here? If you love adventurous sports, then do not forget to visit Auli. If you love roaming around fragrant spaces and savouring the divine aura created by its fragrance, then Valley of Flowers is your destination. You will certainly be astonished by its beauty in diversity reflecting from each and every petal of flower prospering in this valley. If you have not seen breathtaking wildlife of the world, then it is hard for you to summarise the diversity of this wondrous world. Jim Corbett National Park is one of its kind in India and hence, is the right destination if you desire to witness the beauty of nature in the form of flora and fauna. Located in the Nainital district of Uttarakhand, Jim Corbett National Park is home to several endangered and rare species of animals and plants. How about exploring the deepest corners of this luxuriant park and watching the wild splendour of nature? Even after being a debatable topic nowadays, the beauty of Kashmir is still intact and can be seen through its shining lakes, heavenly gardens and rich vegetation. Rightly called, the Heaven on Earth, Kashmir is the wonder of nature and showcases the impeccable artistry of God. How about indulging in the flourishing environment of Kashmir and getting home a perennial experience? You must be wondering how Varanasi can be on this list? Well, let us tell you that the best age to imbibe positivity in your life is during the 20s. Varanasi is one place which definitely is the hub of spirituality and positivity. Get yourself here and explore the after birth and after death life of humans through its age-old complexes and millennium-old culture and traditions. Being one of the oldest places in the world, Varanasi should be on your bucket list if you desire to spend some time learning the different aspects of life.